much for such a wonderful product. 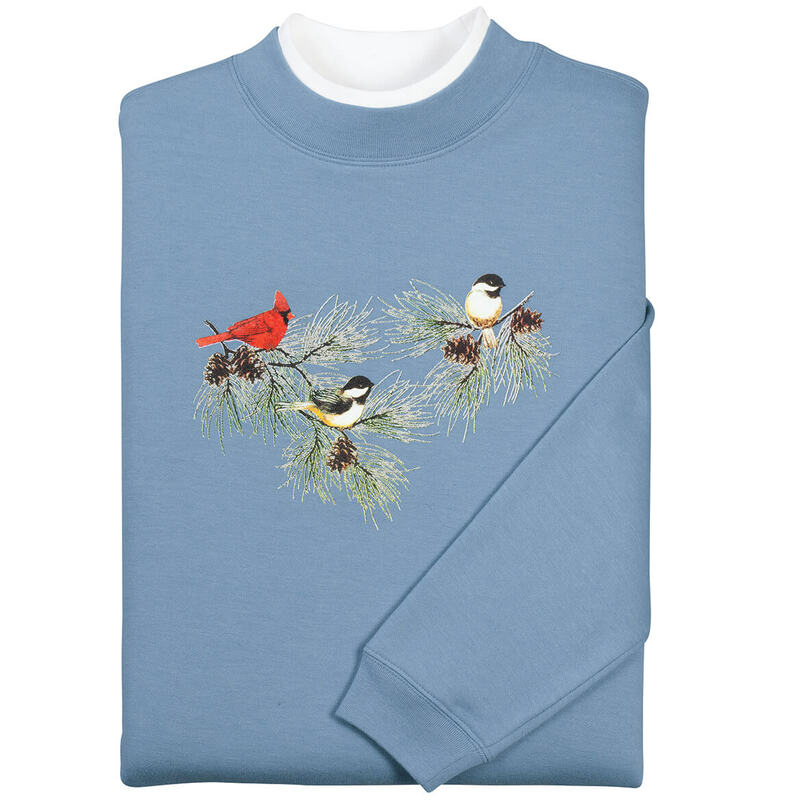 Helpful comfort wear for both Exercise and Travel. Keeps problem areas in place Launders well and Air Dry. 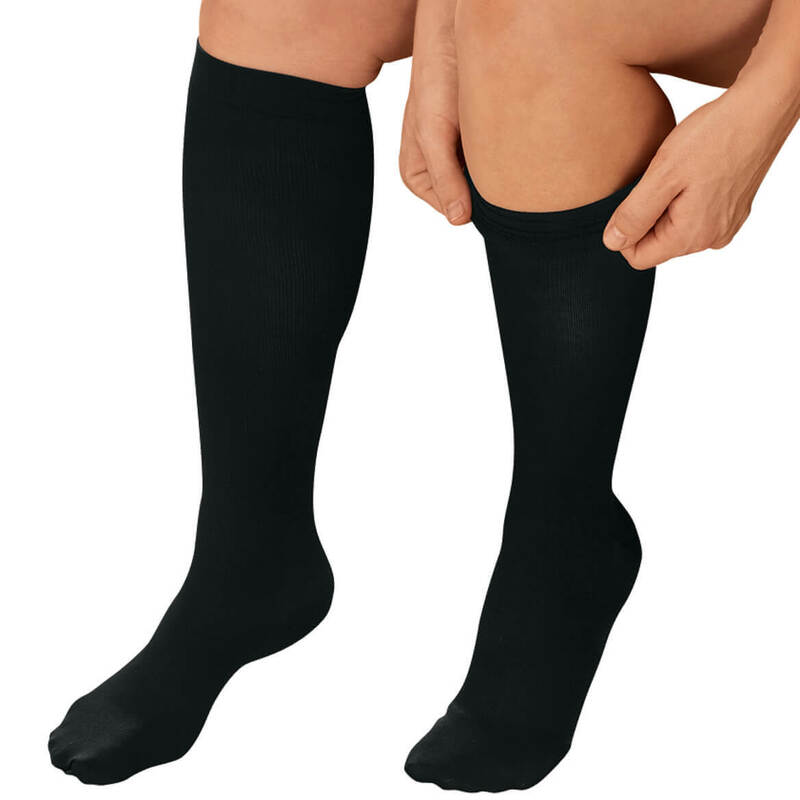 These compression socks helped reduce swelling in the ankles and lower legs all day. 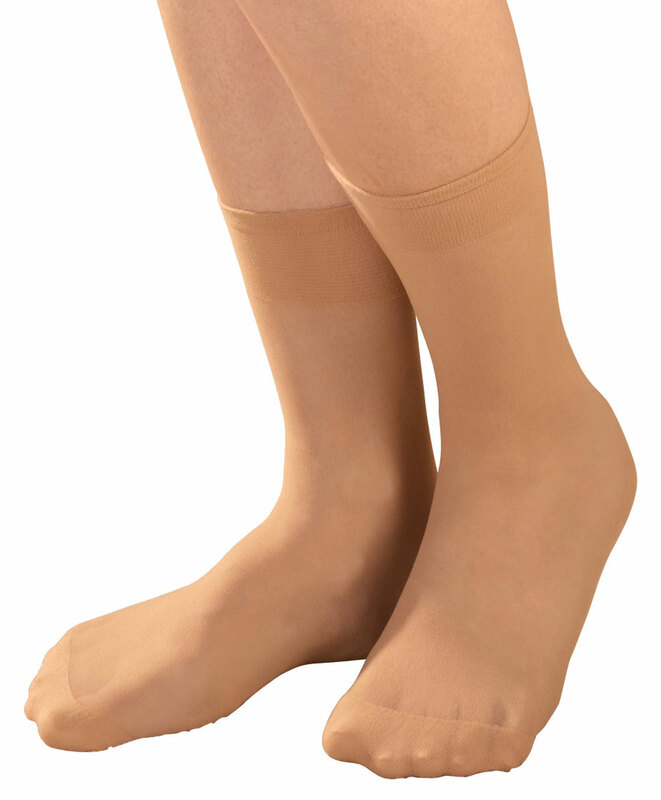 Don't waste your time on compression socks with light compression if you have venous insufficiency. Get the ones with compression of 20 mm HG or more. These are the best value. I work as a RN and work 12 hour shifts. In order to prevent fatigue and my legs giving out on me we were advised to get compression socks. Only downfall is they say you can't wash your socks in washing machines because they ruin them. I found these and tried them on and was instantly impressed after my first 16 hour shift with no fatigue. The challenge then was how to wash them. (Working nights I did not have the time to hand wash all of my compression socks!) So I threw them in the washer. I bought 2 pairs in October and am now ordering new sets, not to replace but just add more colors and pairs! The 2 I have still are in excellent condition still! I'm definitely impressed. They do sometimes make me hotter than normal if I'm running around in them but the support I get is worth a few hot spells! Best compression socks for the money. Great if you spend a lot of time on your feet. I found that they were easier to put on if rolled down to the toes. Great for swollen ankles - feel warm - not too tight - just right. Doesn't look like old lady hose. I have swelling of the legs due to a heart condition. I must wear compression socks each day. I hate the white ones that look like you just stepped out of the hospital. These look great. I love the choice of colors and the texture is simular to trouser socks. Perfect! The quality of these are nice. I ordered an extra pair. Others I've bought didnt last 2 uses. A little tight at the top. The one cuts in. I previously purchased these socks and have been pleased that they are very comfortable. I wear them for health reasons, and I needed some new ones. My lady doctor and my good friend recommended these. She wears them during surgery all the time. Price and quality as well as colors desired being available. Just giving them a try as I have problems with my legs. really like them as they help me a lot. Needed an additional pair. Wear when on feet for long periods to prevent swelling and aching. Need for poor blood circulation. need to use them every day and have not found the colors I like elsewhere. Compression socks help with swelling and circulation, I hope they help. I am looking for smooth, comfortable compression socks and, based on the description of these socks, I think they might be exactly what I am looking for. This was for my mother's swollen legs and ankles. I work in a pharmacy while standing on my feet for long hours. 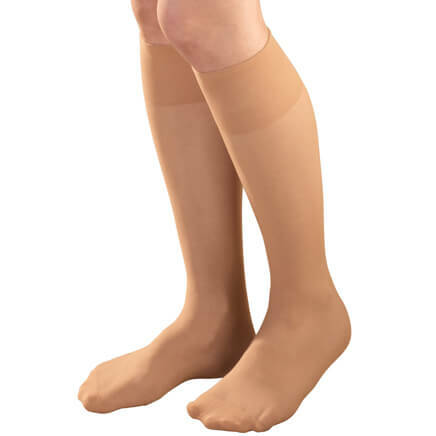 I have never used compression hose before and I want to see if it helps with my edema. Doctor recommended. Other brands do not fit. To protect my legs during a flight. I wear compression socks every day. I'm hoping the quality and amount of compression will be good for my needs. When is a good time to wear compression socks? 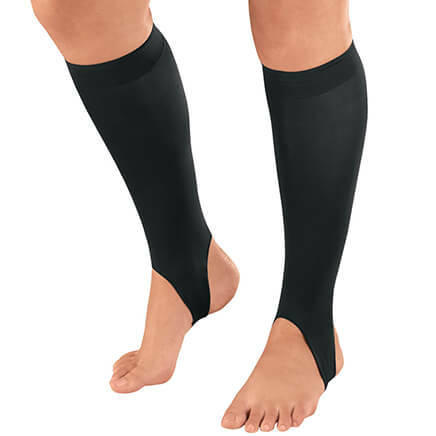 BEST ANSWER: My doctor recommended a compression stocking to help circulation in my left leg. I wear them on both legs, when using them. I have found that they feel very good, and part of that is probably that they are long enough to nearly reach my knees. I haven't worn them in recent months, because it's summer and I don't really need compression stockings as much as folks with serious circulation problems. I wear them more for comfort than for medical reasons now. Thank you for your question. You should wear them throughout the day then take them off before going to bed. We hope this information will be of help to you. Most doctors say to put them on first thing in the morning and remove them at bedtime. what calf measurement does this cover? BEST ANSWER: Thank you for your question. The calf size is one size fits most. We hope this information will be of help to you.